I wore this to go downtown to dinner. We got there a little early so Mike and I took a nice little walk. I had gone to the restaurant before for a networking and wine pairing event. I was excited to try it again. I tried sea bass for the first time. And I remembered to write down the name of the wine that I liked. I love trying new wines but I'm so bad at remembering what I've tried and enjoyed. I really like this elephant purse but it doesn't hold too much. 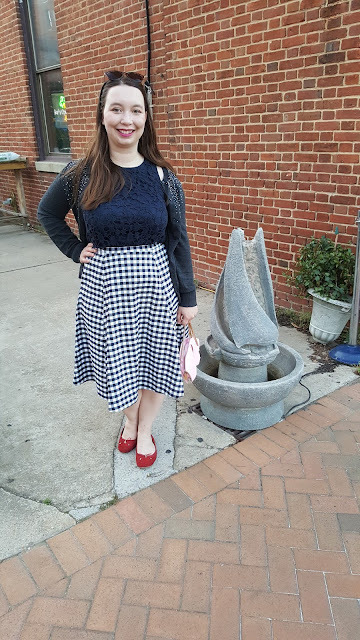 Since the gingham is navy I thought it would be fun to play with texture by pairing it with a navy crochet top. I've linked some more quirky purses below and they are all under $25! 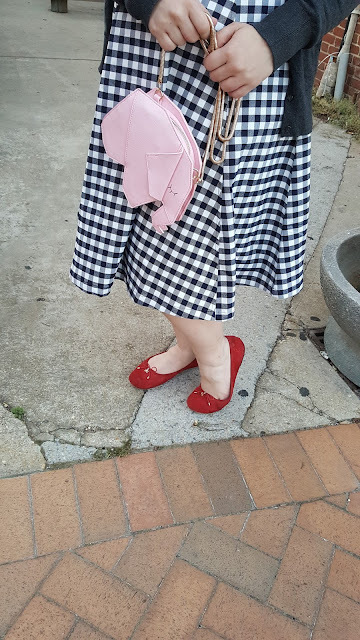 I love gingham, I think it's my favorite spring print! This might be my favorite outfit on you! 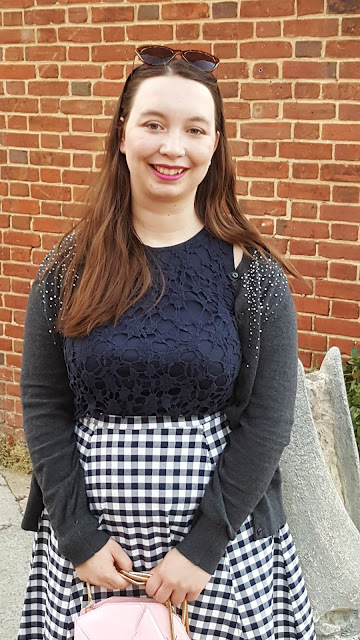 I love the lace and gingham combination! I love the gingham skirt! It's such a cute look for Spring! That elephant bag is the cutest! What a fun detail to add to this look.